Don't let condensation become an issue for you with this mirror with built in demisting pad. The heated surface doesn't give an opportunity for mist to form impairing your reflection. 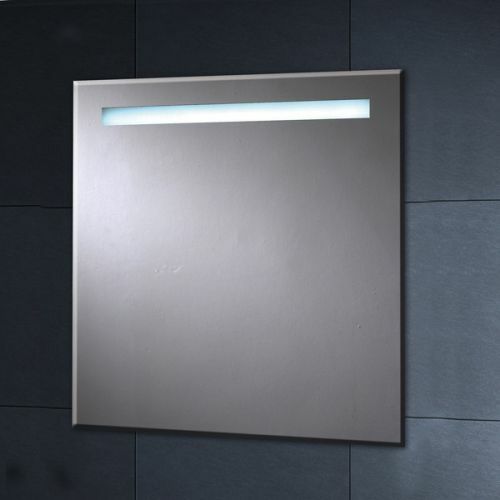 Both the demister and lighting is switched on via a motion sensor as you enter the room, it's just always there ready and waiting for you to use. The square bevelled look is visually striking and lends itself to being fitted in lots of bathrooms. Perfect for applying makeup as the glass surface picks up every nuance of your face. Whether you prefer a wet shave or will be taking advantage of the built in shaver socket it's also the perfect size for male grooming too. Currently offered with 25% off and free delivery, buy today.